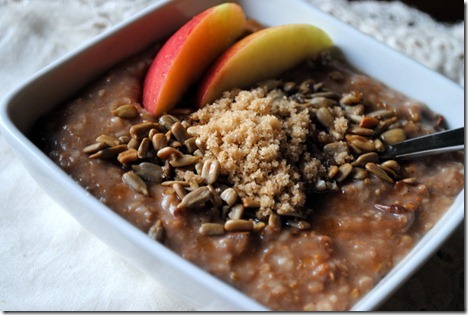 Apple cinnamon steel cut oats… made in the crock pot! 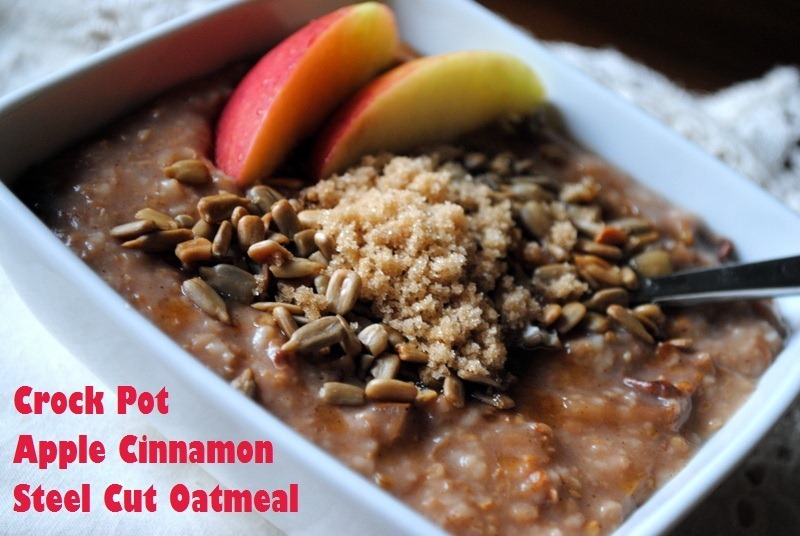 If you’re anything like me, you love steel cut oats, but you’re often too impatient to wait for them to cook on the stovetop first thing in the morning. 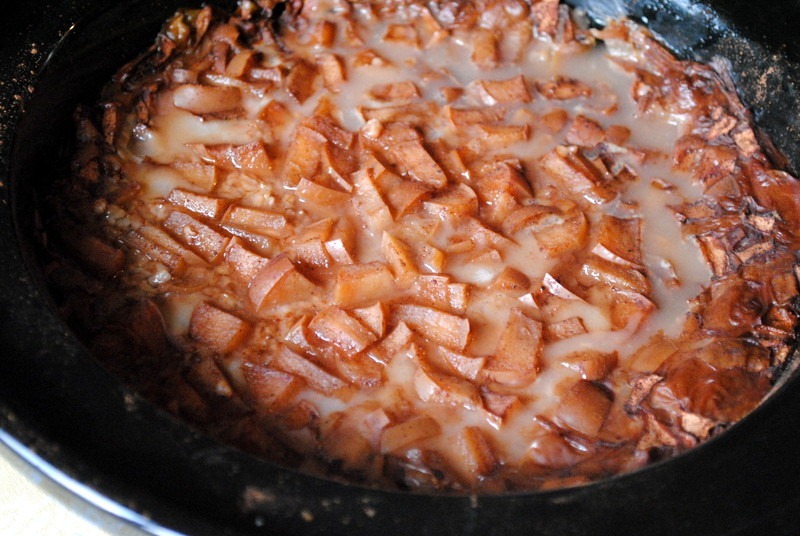 I love our crock pot and use it to make easy meals year round, but I’ve never used it for breakfast. I know people have been making steel cut oats in the crock pot for years, but for some reason I’ve never tried it. Last night I figured it was time for me to give it a go and after browsing Food Network’s website and finding Alton Brown’s recipe for crock pot oats, I figured I could alter it a bit to make it healthy and full of apple cinnamon flavor. 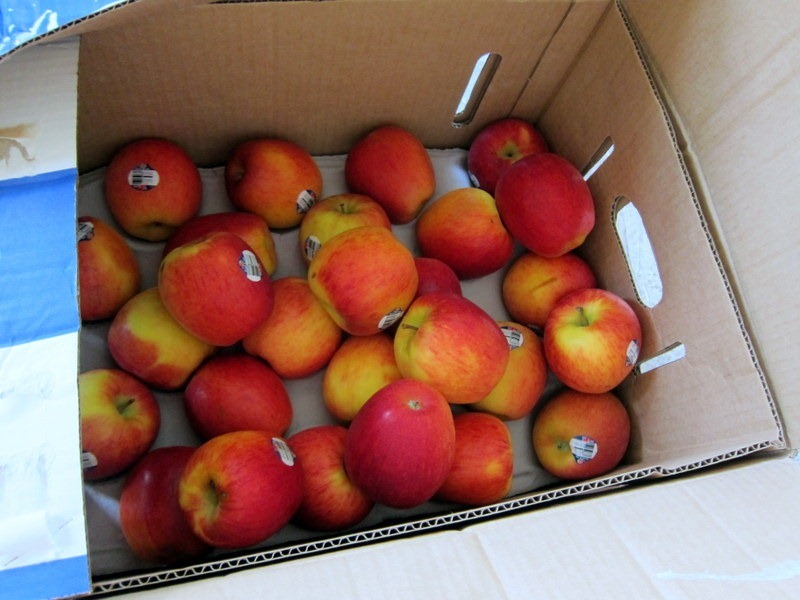 Last week I was sent a huge box of Envy apples to try and have been eating two to three apples a day since. Seriously. I cannot stop. 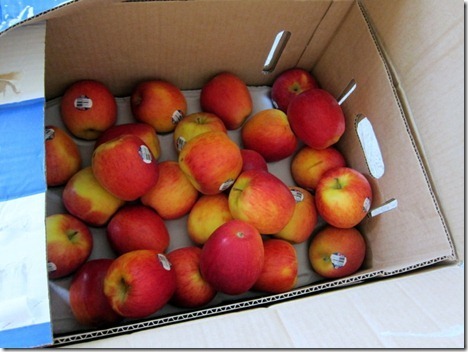 I gave some apples to my mom and sister last weekend and my sister said she ate three yesterday, too. They’re so darn good and nothing tastes better than a crisp, cold apple in the middle of summer. I told Ryan I need to incorporate the apples into my meals by baking them or cooking them in some way, otherwise I’m going to turn into an apple at the rate I’m going. 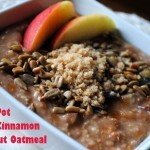 So apple cinnamon steel cut oatmeal fit the bill! I put everything in the crock pot before bed last night and awoke to a questionable-looking sight. The top of the oats were rather liquidy, but when I began stirring everything together, I knew I had a winner. 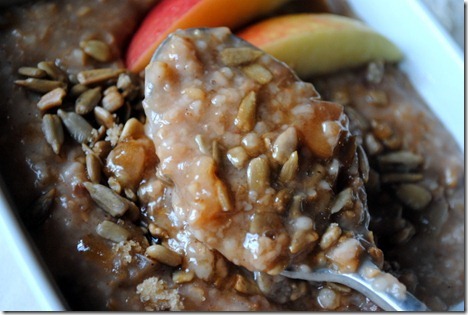 After scooping the oatmeal into a bowl, I topped the creamy oats with sunflower seeds, two apple slices and a sprinkling of brown sugar. 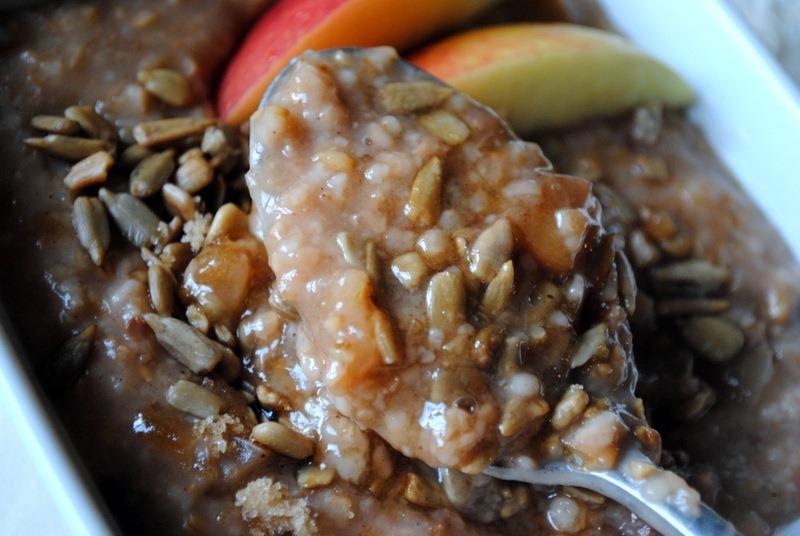 I present to you one of the world’s most comforting bowls of oatmeal: Apple cinnamon steel cut oats… made in the crock pot! Combine everything in a two-quart crock pot, stir and allow to cook on low six to eight hours. 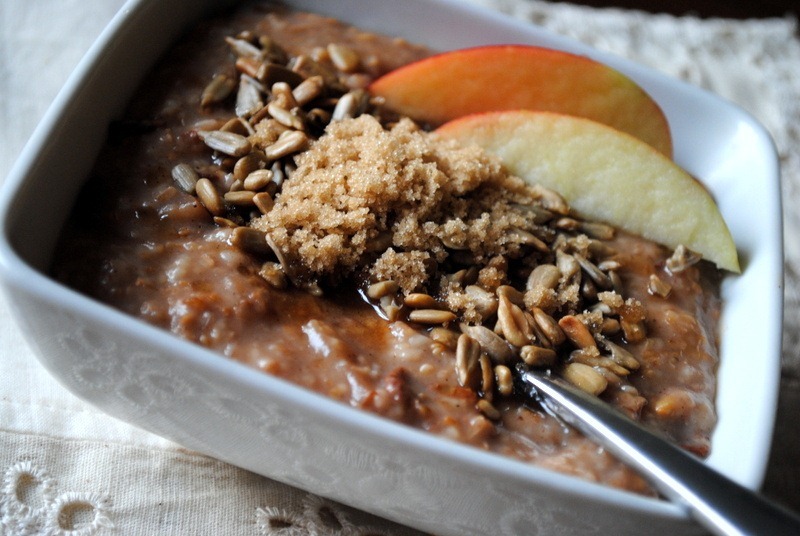 Stir oats until everything is combined and oatmeal is creamy. Pour into bowls and top with desired toppings, such as brown sugar, nuts or fresh berries. If you’re looking for a breakfast with more protein, you can easily stir vanilla protein powder into the oats in the morning or top them with a scoop of your favorite nut butter. 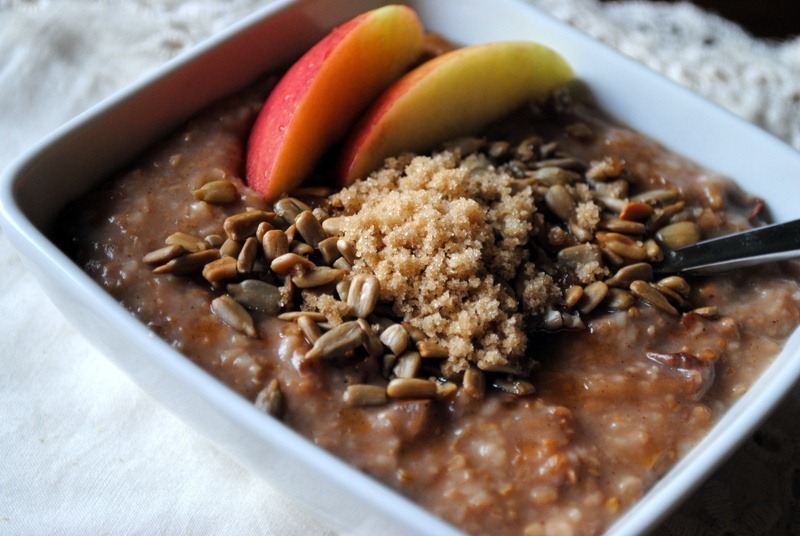 The oats do not have any sweetener added to them other than the natural sweetness of the apples, so if you prefer sweeter oats, you may wish to add honey or brown sugar to the oatmeal. This meal was incredibly easy and the apples absolutely melted into the oats, creating the most creamy, comforting bowl of oatmeal. Delicious!